Over the Christmas and New Year break, I finally got some time to head out and I made my way down to the civic district of Singapore (my life could have been more exciting, I admit). Apart from the captivating architecture of colonial buildings juxtaposed against the towering skyscrapers, it was hard to not notice how connected the city is. Singaporeans, both young and old, were all extremely engaged with their mobile devices. Tablets and smart phones, social media and online games; they were all connected by… free public Wi-Fi. This is the most basic, but a very important aspect of a progressing Smart City. It is after all powered by network connectivity; connectivity enables the city for more, beyond just allowing its people to be on social media. Of course, it is also important to note that data for a city’s actionable intelligence is also paramount for a Smart City. Singapore has been successful in acting on both. But I am not going to shed so much light on Singapore in this article, simply because the city state has always been at the forefront when it comes to Smart Cities development (never mind ‘city’ – Singapore is going for the ‘Smart Nation’ title). I would like to look at the Smart City developments and endeavors of some of the other ASEAN nations. Personally, I feel that Smart City developments in these countries are more exciting because an outcome could bring about a massive positive impact to the local population. This ranges from increasing public service transparency and alleviating corruption, to creating a more sustainable and environmentally-friendlier society. 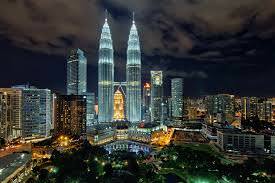 In this article, we are looking at Smart City initiatives in Malaysia and Indonesia. As part of the economic master plan, Indonesia is working towards becoming ASEAN’s largest digital economy. 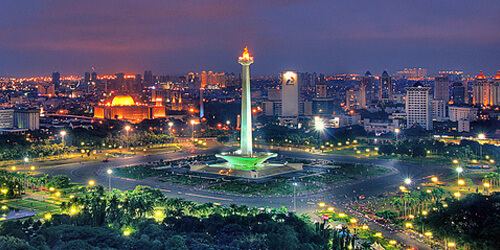 Part of the plan is to develop Jakarta to become a Smart City. Over the course of 2016, multiple IoT applications were launched to support the Jakarta Smart City initiative and to manifest a new Jakarta that is informative and transparent. Among these applications are the Jakarta One Card, Surveillance System, Dump Truck Tracker, and Smart Street Lighting System. Before Jakarta, Makassar was Indonesia’s budding Smart City. It made great progress in developing itself as a technologically advanced city by harnessing data to improve public services. This is evident in Makassar’s ‘War Room’ which brings together data from health sanitation, transport, and emergency services. One of its first initiatives include a plan to harness public transport data with the end goal of reducing traffic congestion via a more efficient public transport services. Having visited the Jakarta Smart City Lounge and speaking to Pak Setiaji, Head of Jakarta Smart City Management Unit, it is clear that Smart City initiatives in the country are more focused on outcomes for citizens, with stronger human-centric approaches. While this serves as a good basis for developments and progress, more should be done in terms of improving existing infrastructure as well as having more robust regulations. Malaysia’s Ministry of Science, Technology, and Innovation (MOSTI) was mandated by the Government to develop and drive IoT as a new source of growth in catalyzing the country’s Digital Economy. In July 2016, the National IoT Strategic Roadmap was launched, with an expectation of the country’s IoT developments to contribute USD 1.2 billion to the country’s Gross National Income (GNI) by 2025. Malaysia is emerging as a leader in digital economy among developing countries, ranking 4th in the Online Service Index in the United Nations e-Government survey 2015. Part of the country’s digital transformation initiative is to develop Malaysian cities to be smarter and more efficient and one of them is Cyberjaya. The memorandum of Collaboration was signed by Cyberview Sdn Bhd and Atilze Digital Sdn Bhd to build, operate, and commercialise a city-wide long range (LoRa) network in the city. The collaboration strategically positions Cyberjaya as the first Smart City in ASEAN that is connected to a LoRa network. Government regulations are crucial in the decision to adopt IoT, especially in the public sector. With the Malaysian government, particularly MOSTI and MIMOS aggressively pursuing IoT developments, Malaysia is poised to be a forerunner in ASEAN in adopting IoT for public services and to drive their Smart City endeavours. Continued enthusiasm, supportive policies and maintaining standards will allow more investors, companies, and entrepreneurs to embrace the multi-faceted potentials of IoT, and putting Malaysia one step closer to achieving its vision of becoming the Regional Development Hub for IoT. Overall, I find Smart City developments in emerging economies to be extremely exciting. The prospect of a fully functional Smart City could mean a lot to a local population: improved traffic congestion, less serious flash floods, efficient public feedback and reports, and the list of benefits goes on. Due to their developing status, ASEAN is teeming with opportunities for technology companies to introduce their solutions and contribute to ASEAN Smart Cities. Beyond the urgent need for improvements in public infrastructure, solution providers that focus on helping to build Smart Cities can expect great demand for sophisticated technologies in the region. And with the enthusiasm that we have seen among local telcos in the past year, I believe that IoT solution providers are in for a treat in 2017. May we see more exciting technological developments in ASEAN cities in 2017!